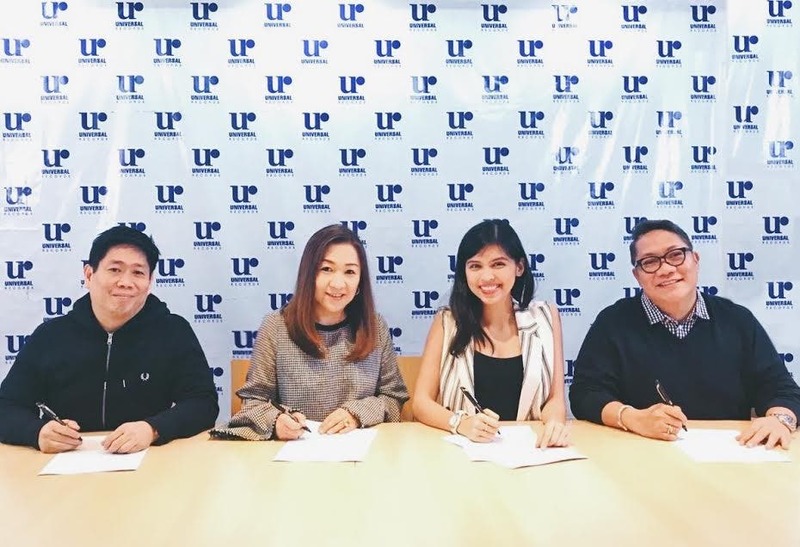 Maine Mendoza Finally Signs a Record Deal! (L-R) Universal Records Operations Manager Peter Chan, Universal Records General Manager Kathleen Dy-Go, Maine Mendoza, Business Manager Rams David. Hints of Maine’s signing first hit the web after Universal Records posted a teaser photo of a ‘mystery girl’ wearing a leather jacket bearing the word Universal on it. 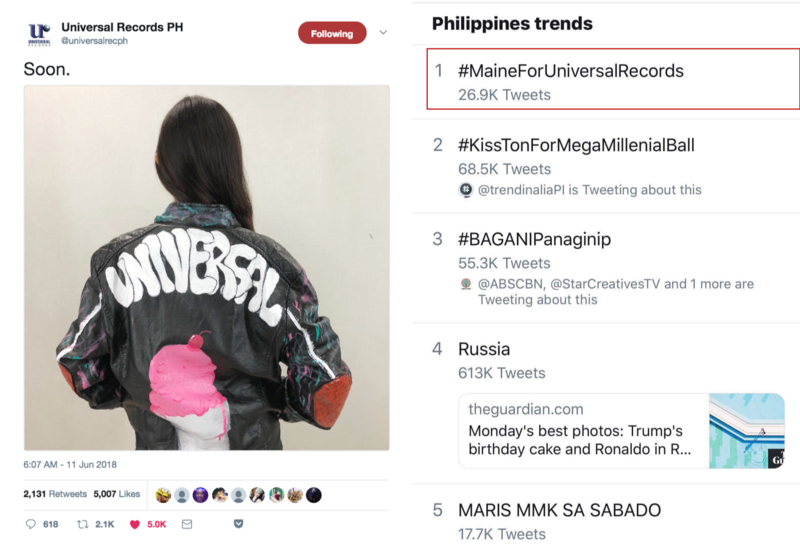 Fans were quick to catch on, as #MaineForUniversalRecords became the #1 Trending Topic on Twitter in the Philippines and Worldwide not long after the teaser was posted. The mystery girl was finally shown to be non-other than Maine herself on June 22, as posted through a Big Reveal video, further exciting her fans. Signing with Universal Records is just the latest accolade for the 23 year-old star, as she celebrates her third anniversary in show business. Rising to stardom after being introduced as Yaya Dub on the hit noontime show Eat Bulaga, Maine has amassed a number of endorsements, TV shows, box-office hits, and a best-selling book. Now, Maine is more than ready to trade in her dubsmash skills to pursue a recording career, adding to her many talents.